The giant panda (Ailuropoda melanoleuca) lives in the Yangtze Basin, one of the most biologically diverse regions of China. Found in mixed broadleaf and evergreen forests, pandas live in a narrow range of altitude, between 4,200 and 12,000 feet. The mountainous forests of the Yangtze Basin are home to an amazing diversity of animal species, including many rare and endemic species. Because the region is also a major economic center for China, many species are threatened with extinction. 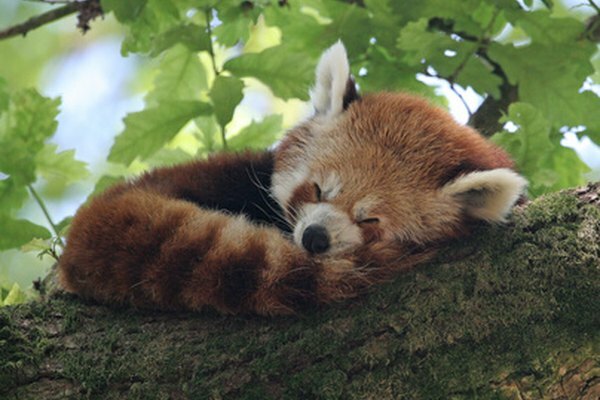 Found only in the mixed foliage forests of eastern China and Nepal, red pandas (Ailurus fulgens) live in the same ecosystem as the giant panda. 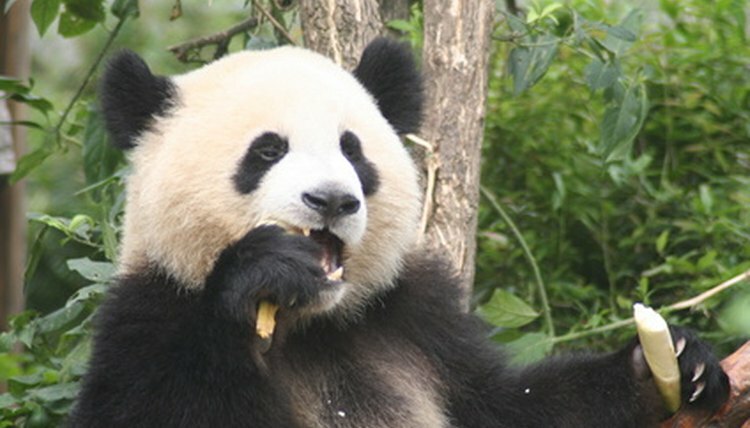 Although it is called a panda, the species is actually a relative of raccoons. Small and arboreal, red pandas are named for their striking rust-red coat, which is accented by white facial markings, a dark belly and striped tail. Solitary and nocturnal, they mark their territory with glandular secretions and urine. Like the giant panda, the red panda subsists on bamboo, supplementing its diet with eggs and insects. Although protected, they still face extinction due to habitat destruction. The snow leopard (Uncia uncia) is the top predator within the range of the giant panda. It is a large, heavy-bodied cat with long fur, most commonly colored pale gray or white with dark rosette-shaped spots. Although they prefer the rocky, treeless terrain of the Himalayan foothills, they often venture into the montane forests of the Yangtze Basin to hunt. Rare and endangered, snow leopards are sometimes hunted for their fur and now number fewer than 5,000 in the wild. Similar in appearance to the red panda, the red-and-white flying squirrel (Petaurista alborufus) is a large flying squirrel species found in western China and Taiwan. Dwelling in temperate mixed foliage forests, it is a nocturnal species known for its striking brick-red and white coat, which features a pale, egg-shaped spot in the center of the back. It has an over-developed flap of skin running laterally between the front and hind legs, which enables it to glide long distances between trees. Overlapping a narrow portion of the giant panda's southern range, the Tibetan macaque (Macaca thibetana) is a large primate species found in eastern Tibet and much of western China. Found at altitudes up to 9,000 feet, they live in montane forests with both temperate and tropical climates. Known for their distinctive facial hair, which resembles a large mustache and beard, Tibetan macaques are golden-brown in color with pale red facial skin. They are highly social animals, living in large family groups that frequently interact with one another. Found only at elevations between 5,000 and 12,000 feet, the golden snub-nose monkey (Pygathrix roxellana) is better adapted to cold conditions than most other primate species. The tiny range of this species coincides with that of the giant panda, coming together in the deciduous and coniferous forests of Sichuan. Naturally rare, the golden snub-nose monkey is threatened by habitat loss and now has fewer than 15,000 individuals in its native range.